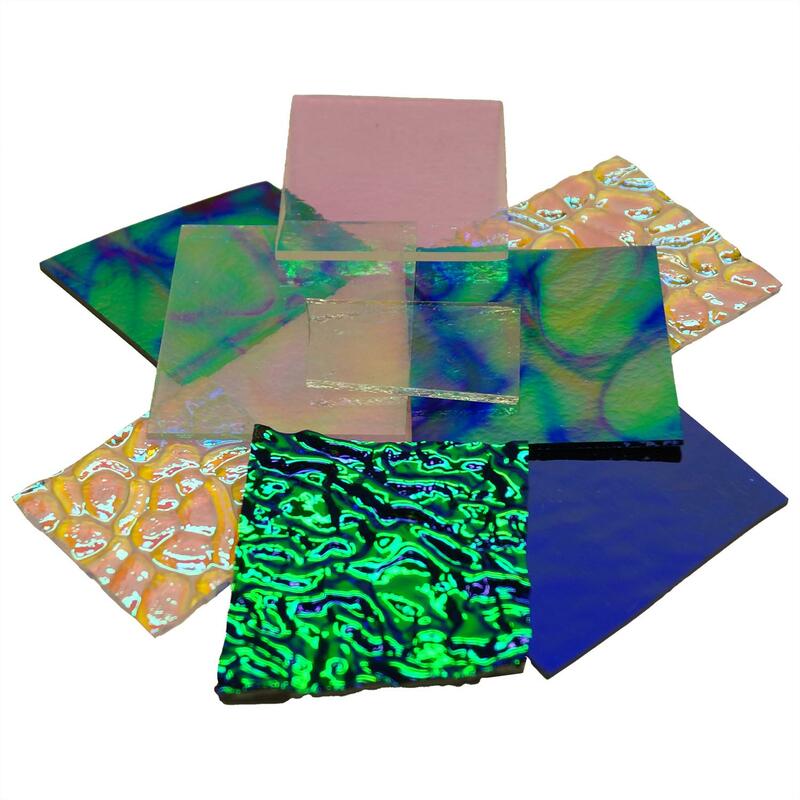 Save Big with Dichroic Scrap Packs 1/4 lb of Coatings By Sandberg dichroic glass pieces, 90 COE. Odds and ends give you plenty of colors and coatings to choose from, in just the right size for jewelry makers. Includes a mixture of clear and black dichroic glass in random colors and shapes. Think outside the box! Add sparkle to polymer clay projects with dichroic glass. See pendant below. Artist: Janis Holler. From "Polymer Pizzazz" book #6593. Dichroic fish pendant by artist Roy Kapp. Hot glass mosaic created by artist Ramona Martin from Waterford, MI. 2010 Creativity Center Art Glass Festival 1st Place Mosaics. There are no extra boxing charges for glass packs. Photo is one example, assortments will vary. Make your own fused glass jewelry! 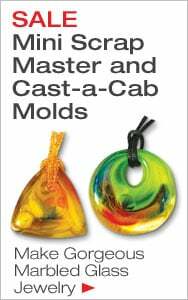 Find beginner kits, instruction and pattern books, and some of our favorite supplies to get stared making glass cabochons, kiln-formed bracelets and fused glass jewelry. Keep creating with Delphi's complete selection of Fusing Supplies. Delphi Makes It Easy: Create beautiful glass bracelets in a snap! Choose from colorful System 96 Glass Strips, or browse our wide selection of Dichroic Glass.